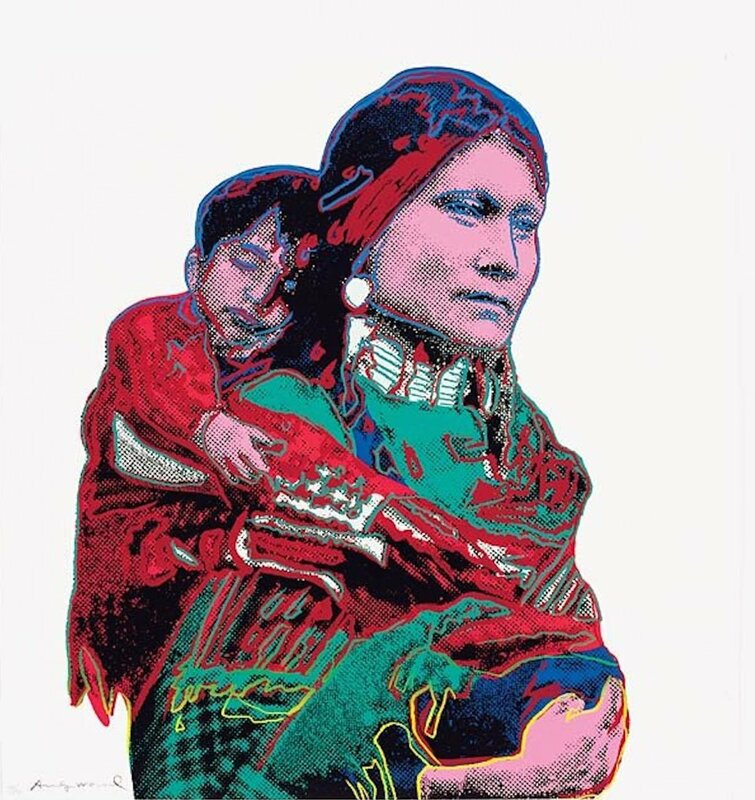 Andy Warhol’s Cowboys and Indians series is a fascinating amalgamation of imagery that Warhol felt was heavily associated with and defined the American West. The series included images of objects related to native culture, like Northwest Mask and Kachina Doll. The series also included portraits of historical notoriety, like Geronimo and Annie Oakley. Mother and Child depicts an Indian woman carrying her young son on her back. These images have been removed from their original context and reproduced here to show the public what we as a society have come to associate with our understanding of The American West.